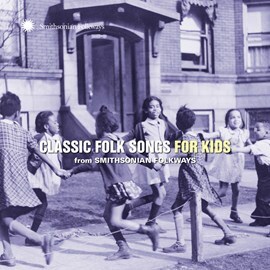 Description: Just a few months ago, I wrote for the Smithsonian that it was about time for Volume 2 of Smithsonian Folkways Children's Music Collection. Well, they've sort of done that now in this, the 26th entry in Folkways' "Classic Series." The playlist -- artists and songs -- itself is certainly classic. Go to the link below to hear Pete Seeger, Bess Hawes, and Tom Glazer sing "Polly Wolly Doodle" and Elizabeth Mitchell sing Woody Guthrie's classic "Riding in the Car." Posted in Samplers, Unreleased, Compilations and tagged with Pete Seeger, Smithsonian Folkways, Elizabeth Mitchell, Elizabeth Cotten, folk music, upcoming releases. June 9, 2016 by Stefan Shepherd. Description: A celebration of all things sweet and crusty. OK, just one type of sweet and crusty thing. Featuring, as Rymer puts it, "tasty slide guitar by Larry Campbell." The sort of bluesy, gooey Americana that Rymer and his band do so well. Posted in Singles, Unreleased and tagged with Brady Rymer, Brady Rymer and the Little Band That Could, New York, food, dessert, pie. Description: Pssssst. Would you like to hear the latest album from Alastair Moock, who was nominated for a Grammy for his last kids' album, Singing Our Way Through? Yes, I thought so. All Kinds of You and Me is a tribute of sorts to the classic Free To Be You and Me, and already has a sweet, Key Wilde-animated video for the leadoff track "It Takes All Kinds." Worth your time to give it a spin. Posted in Albums, Upcoming Releases and tagged with Alastair Moock, Rani Arbo, Anand Nayak, Free To Be You and Me, Marlo Thomas, upcoming releases, Bandcamp. May 29, 2015 by Stefan Shepherd. Description: Another jumble of styles from King Jumbler himself Mista Cookie Jar. This midtempo bouncer is autobiographical, telling the story of how his parents emigrated from the Philippines to America, but it's primarily a love song to his mom (and, therefore, of broader interest than just to those fans of one of kindie's most interesting characters). Posted in Singles, Upcoming Releases and tagged with Mista Cookie Jar, Los Angeles, mothers. Description: Maybe you don't really need to know anything else other than the title to the Portland duo's latest album is, indeed, "Pants!," and yes, that exclamation point is part of the title. That may drive some of you away, while other families will be pulled in by the lure of that title (and exclamation point). The choice, friends, is up to you. (If you do want to listen to one track before you decide, I'd recommend #11 ("RainbowwobnaiR"). Posted in Albums and tagged with Portland, Oregon, The Alphabeticians. February 24, 2015 by Stefan Shepherd. Description: The undisputed king of kid-hop, Skidoo's latest album is a little mellower, a little less self-empowering than some of his other work. In my review of the album, I noted that I liked it, just not quite as much as some of his other albums. Still worth checking out, though. Posted in Albums and tagged with Secret Agent 23 Skidoo, hip-hop. November 3, 2014 by Stefan Shepherd. Description: It's been three years (and an EP) later since Michigan's Jeff Krebs (aka Papa Crow) released his well-loved debut Things That Roar, but this week sees the release of the full-length follow-up. Fans of the debut will hear a familiar gently playful folk sound, with some familiar artists like Frances England making an appearance. Posted in Albums, Upcoming Releases and tagged with Papa Crow, Frances England, upcoming releases, Michigan. October 6, 2014 by Stefan Shepherd. Description: The forthcoming third album from the Pennsylvania-based Willey follows the format of her first two albums -- light kindie pop that's dually purposed in the second half as the basis for yoga moves. I've streamed the kindie pop tracks below, but you can go ahead and listen to the yoga tracks, too. Posted in Albums, Upcoming Releases and tagged with Kira Willey, yoga, upcoming releases. September 26, 2014 by Stefan Shepherd.